I love aeroplane jelly, aeroplane jelly for me... exactly that was for me yesterday when I was invited by the Aeroplane Jelly PR team to have afternoon tea with them discussing the latest movements in the market for Aeroplane Jelly and to have a taste test of the new editions to the Aeroplane family. The event took place at the gorgeous rooftop of The Cullen in Prahran, Melbourne. Upon arrival there was a large table at the back with activity booklets for the children of the bloggers to part take in, mingle of the children & bloggers occurred whilst waiting for everyone to arrive. 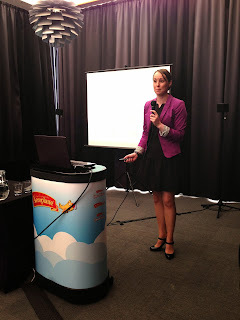 Lindsay the PR Manager presented first with all the exciting news. Aeroplane Jelly has moved beyond just jelly and gone into desserts! 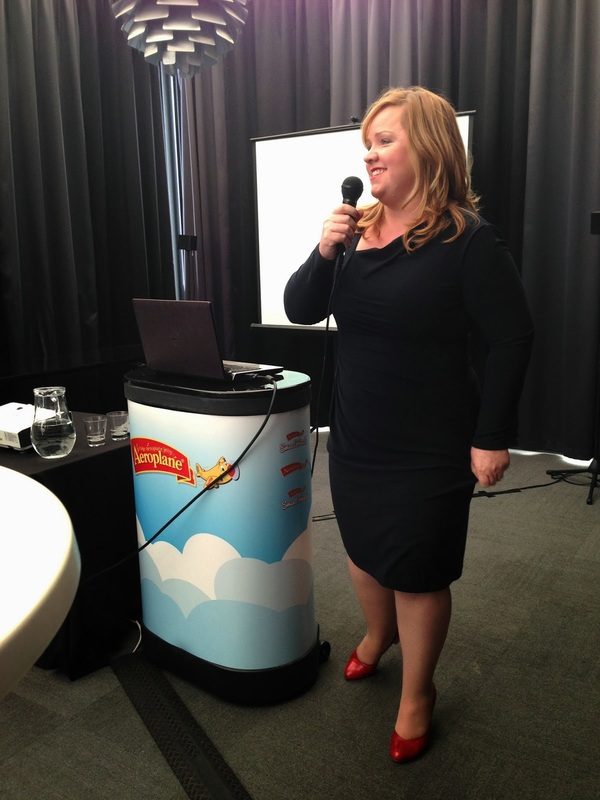 Aeroplane Jelly has a special place in the hearts of Australians - it's the known brand with that jingle that comes to mind when we think of jelly. 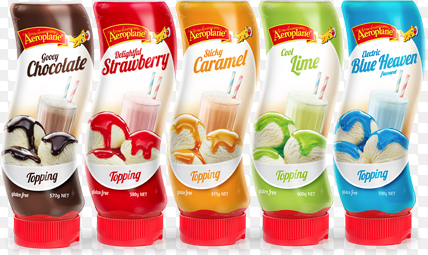 Over the years Aeroplane jelly has really evolved with taking new flavors into the range in stead of just the stock flavors, Aeroplane Jelly have 17 flavors in their range now! The Sweet Treats consisting of 2 jelly slices (raspberry & lime) and 2 mousses (chocolate & choc honeycomb), they're the new sweets that go down a treat! They're easy to make and lots of fun. They're a no bake - making it easy for the littlest of kids to make and an enjoyable fun activity too that you can enjoy with your kids. The jelly slice is based on an average 12 servings per pack. The mousse is an indulgent food for both kids & adults. You can eat the mousse straight after making or if you like a cold more firm mousse then a little refrigeration is all that's needed. I am a huge lover of Jelly Slice ever since I was a little kid, it has been my favourite dessert. When I was heavily pregnant Dan was always baking me Jelly Slice and it was becoming something that was taking time to get all the ingredients together until we spotted Aeroplane Jelly's Sweet Treat - Jelly Slice, this saved so much time as it was ready mixed for you to just put together and meant less time for it to reach my mouth!! All you need to add yourself to the mix is butter & condensed milk. 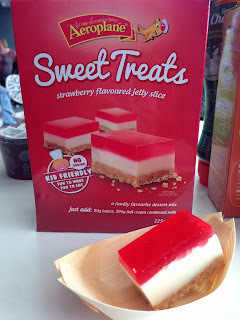 Jelly Slice Sweet Treat have an RRP of $4.99 - avaliable now. 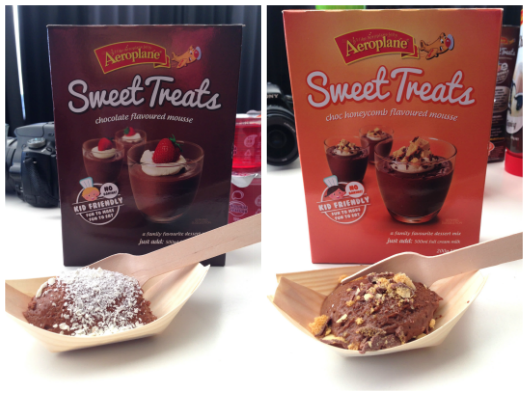 I tried the mousse from the Aeroplane Jelly Sweet Treat range yesterday and mmmm is all I was thinking whilst indulging in them. I loved the little extras on top that were presented ontop of the mousses. It really is a bowl licking dessert!! And all you need to add to the mix is milk. Mousses Sweet Treat have a RRP of $3.74 - avaliable now. 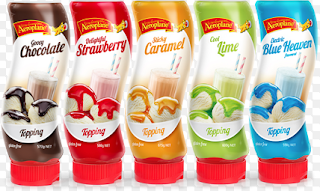 Toppings avaliable in 5 delicious flavors Chocolate, Strawberry, Caramel, Blue Heaven & Lime. Aeroplane Jelly team looked at what sells best in flavors to give you what you want! Toppings aren't just for ice cream - it can be used for making spiders, hot drinks, sundaes and the rest is left for your imagination and creativity. Then we have the thing Aeroplane Jelly have been trying to perfect for years and is now perfected for your taste buds pleasure!! Ready to eat Aeroplane Jelly in cups! Pick them up from the store and you're as set as they are! These jelly cups are available in black currant, strawberry, raspberry and orange. At the Aeroplane Jelly event we were also chatted to by Wendy Hargreaves who is a writer, foodie, mum & of course lover of Aeroplane Jelly (but who isn't right?). Wendy gave a tip and said that you could replace the condensed milk with cream cheese in the Sweet Treats Jelly Slice to make it a cheesecake so allow your minds to go like Wendy's and be your own creator of something within Aeroplane Jelly. And I can't forget to mention the amazing goodie bag we received at the event... Can't wait to get these into the kitchen and then into my belly! !